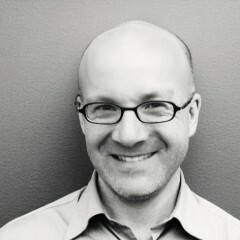 Andrew McLaughlin is a partner at betaworks, a technology and media start-up studio based in New York City. He also serves as CEO of Digg and Instapaper. Previously, he was the Vice President of Tumblr, the Executive Director of Civic Commons and a Lecturer in Law at Stanford. Prior to this, Andrew served as a member of President Obama's senior White House staff as Deputy Chief Technology Officer and before that, Director of Global Public Policy at Google. From 1999-2003, Andrew helped launch and manage ICANN, the Internet's technical coordinating organization, serving as Vice President, Chief Policy Officer, and Chief Financial Officer. Andrew is also currently a member of the boards of Chartbeat, the Sunlight Foundation, and Public Knowledge. He is a Future Tense Fellow at the New America Foundation and a senior fellow in internet governance and cybersecurity at Columbia University's School of International and Public Affairs.